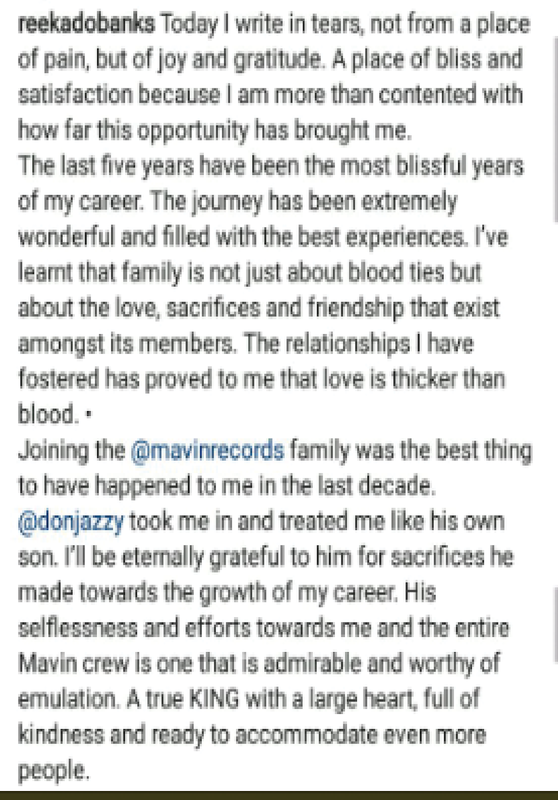 After 5 years in Mavin Records, Reekado Banks has announced his exit from Mavin Records. 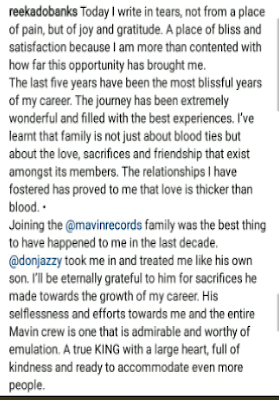 The artist who was signed to Mavin Records in february, 2014 alongside Dija and Korede Bello revealed he's leaving the Don Jazzy led record label on instagram. Reekado Banks released his debut album "Spotlight" under Mavin Records on september 1, 2016.